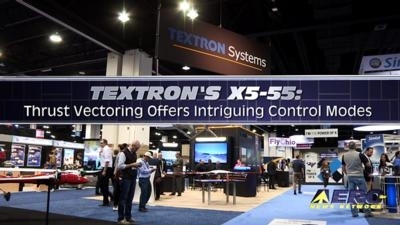 Textron Systems unveiled its new X5-55 engineering test bed at AUVSI earlier this month. 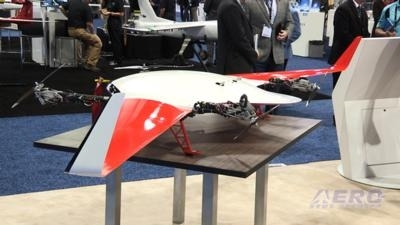 Textron’s senior vice president and general manager for unmanned systems, Bill Irby, told ANN at the show that the X5-55 aircraft is a blended-wing design that is powered by four independently-controlled rotors. There are no traditional control surfaces on the aircraft, giving it better maneuverability and greater resilience in windy conditions. 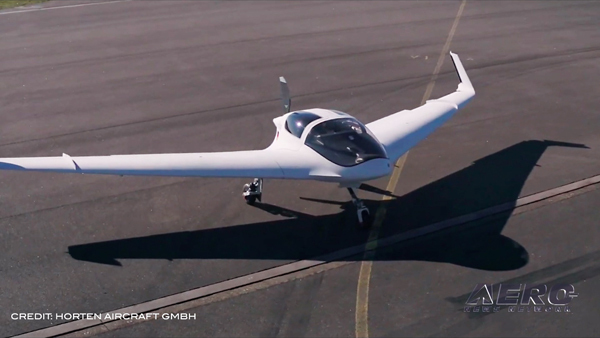 The aircraft is an electric-powered aircraft, a departure from the company's Aerosonde UAV. 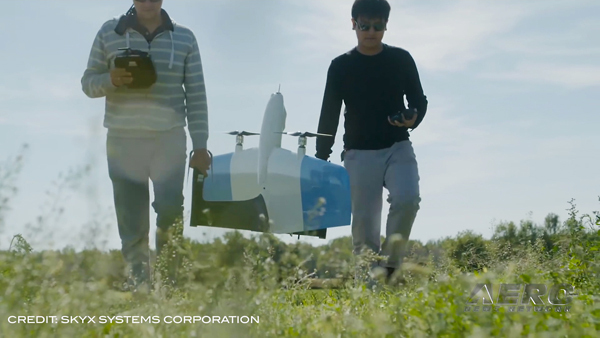 It was designed as a VTOL aircraft, using vectored flight control and distributed electric propulsion for both horizontal and vertical flight. 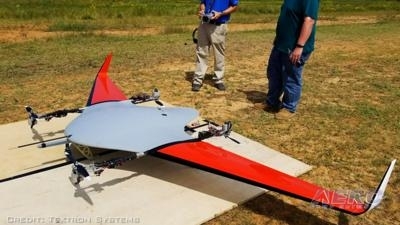 The X5-55 has a wingspan of 12 feet, weights 55 pounds, and has a flight time of two hours. Irby said that the company has been flying the aircraft for more than a year. 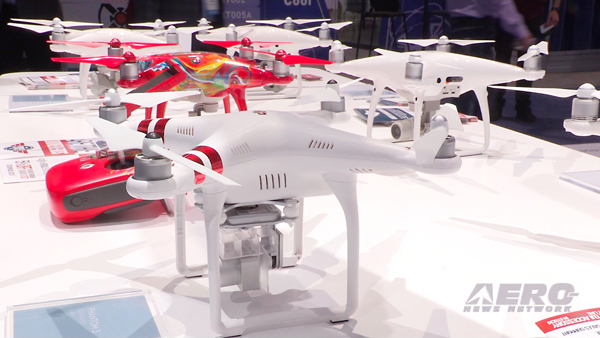 The technology developed using the X5-55 will be incorporated into future aircraft, he said. Aero-TV is a production of the Internationally syndicated Aero-News Network. Seen worldwide by hundreds of thousands of aviators and aviation adherents, ANN's Aero-TV has produced over 3500 aviation and feature programs, including well over 1000 episodes of our daily aviation news program, AIRBORNE UNLIMITED, hosted by Bri Cross, Laura Hutson, and Christopher C. Odom. Now in its third decade of operation, parent company Aero-News Network, has the most aggressive and intensive editorial profile of any aviation news organization and has published over 360,000 news and feature stories since its inception -- having pioneered the online 24/7 aviation new-media model that so many have emulated.